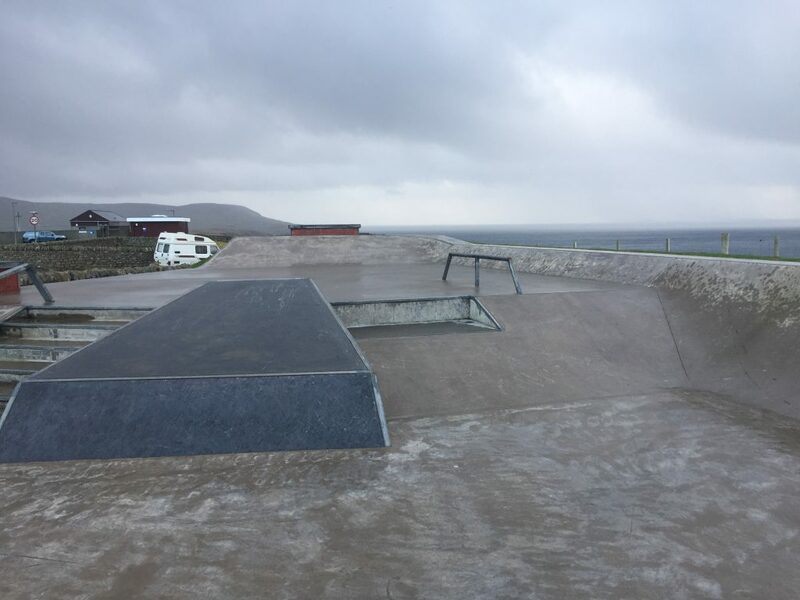 The skatepark starts on one side with a flat bank and block on the back side of a raised level that has a small flat bank running up the long side. 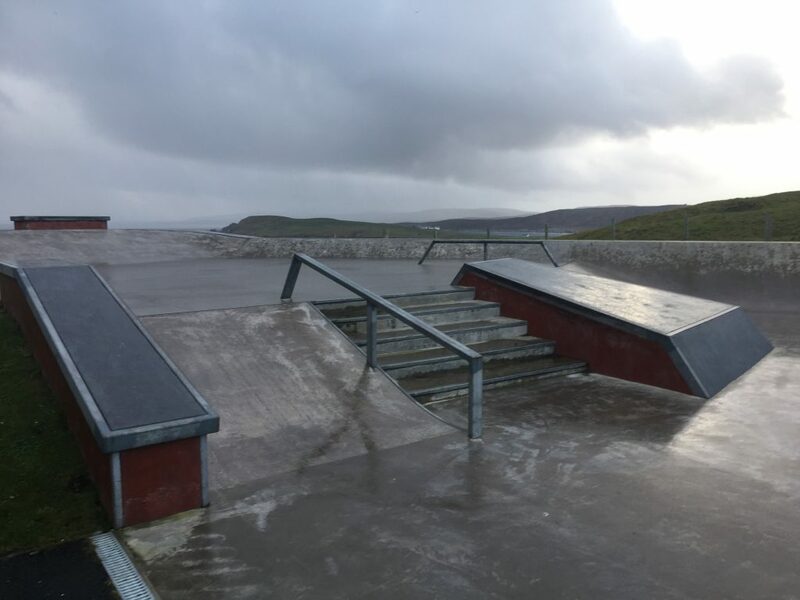 Leading down to the lower level is another flat bank that features a stair set, hubba, rail, euro gap and a manny pad. 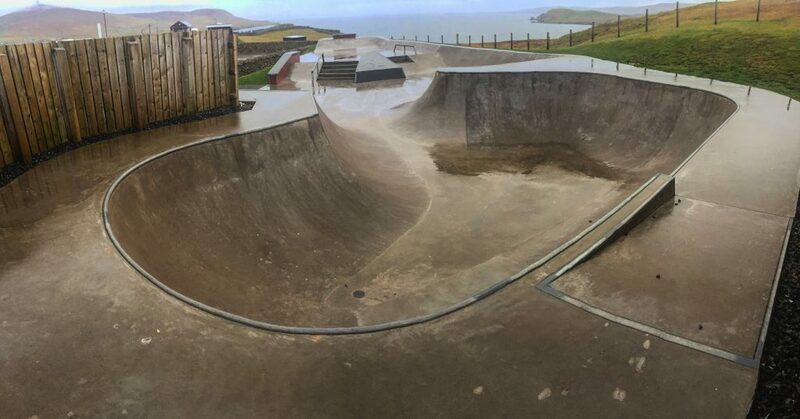 Following on from this is a large bowled edge that acts as a return ramp and inset to this is an open sided bowl that has an extension around one corner. 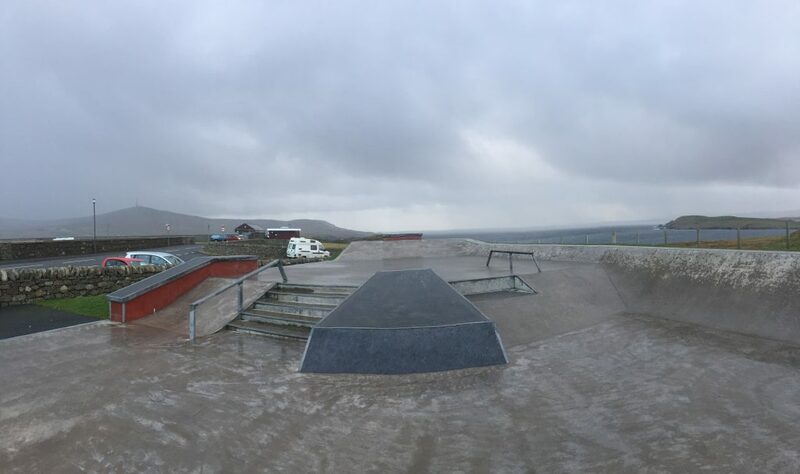 This is a great local park and only skatepark on the island. 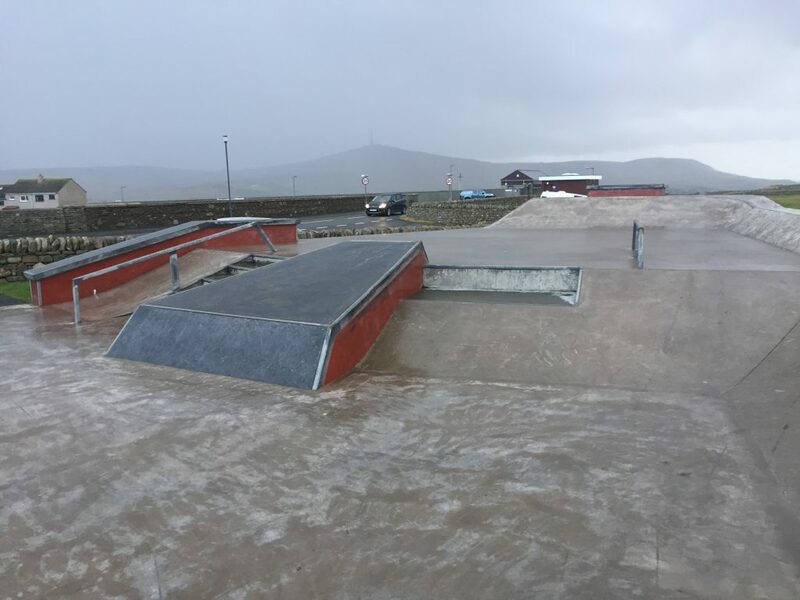 Whether you skate street or transitions these is something for you here, the selection of obstacles is decent and the arrangement makes good use of the available space. If you are on the island get yourself down here and check it out.